The Joyful Heart Meditation is a beautiful process using guided imagery to facilitate emotional wellbeing, healing and transformation. This meditation journey is a tool for restoring inner balance and strengthening and connecting to the love, joy and peace that is within you. 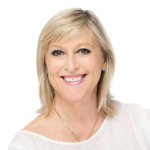 Gillian Godtfredsen guides you to discover the beauty and power of your own inner strength and personal resources. You can discover more about how your emotions and thoughts can affect your well-being and health. Meditation is a meaningful self-help tool to empower yourself and asssist you to become more at ease listening to your own inner wisdom, seeing your true-path and being more fully in touch with the present moment and life itself. 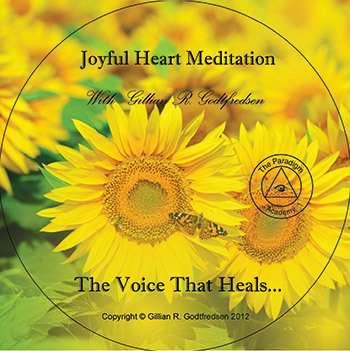 Gillian R. Godtfredsen Ph.D. Holistic Life Coaching, M.Sc., B.Sc. er Certified NLP Master Trainer, forfatter, mentor coach, registrert helsecoach, meditasjonslærer, kurs- og foredragsholder. Engelskfødte Gillian har bodd mesteparten av sitt liv i Norge og har over 35 års erfaring som behandler, lærer, healer og coach. Hun er grunnlegger av The Paradigm Academy, Nordic Coach & NLP Academy og Bevissthetsakademiet. Hun har vært med på å starte flere fagorganisasjoner som Nordic Healing Association og Norsk Forening for Coaching & NLP.